Uniquely inspired treasures from heaven for every day of the year. 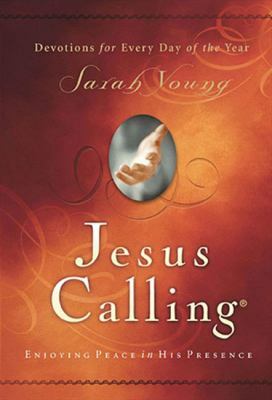 By missionary Sarah Young.Young, Sarah is the author of 'Jesus Calling Enjoying Peace In His Presence-Devotions For Every Day Of The Year', published 0015 under ISBN 9781591451884 and ISBN 1591451884. Loading marketplace prices 839 copies from $1.25 How does the rental process work?